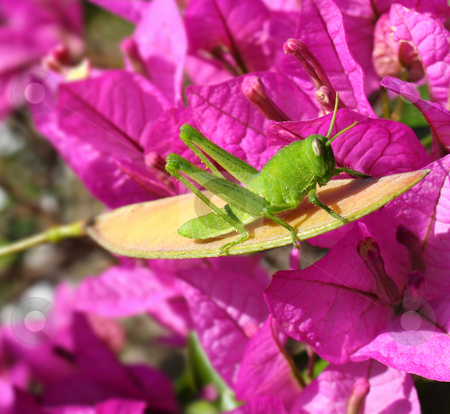 A close up of a green grasshopper perched on a cassia seed pod in front of magenta bougainvillea flowers in bright sunshine. Taken in the early Spring. Description: A close up of a green grasshopper perched on a cassia seed pod in front of magenta bougainvillea flowers in bright sunshine. Taken in the early Spring.